Bought it because it was a bargain, and a frame I originally imported from Italy (ex FCI) for about 400 quid. It is still too small for me second time around and I haven't actually touched it since owning it. SO.. up for sale again... same price... plus I can throw in a few bits, maybe a wheel or two, stem, bars... best part of a bike really. 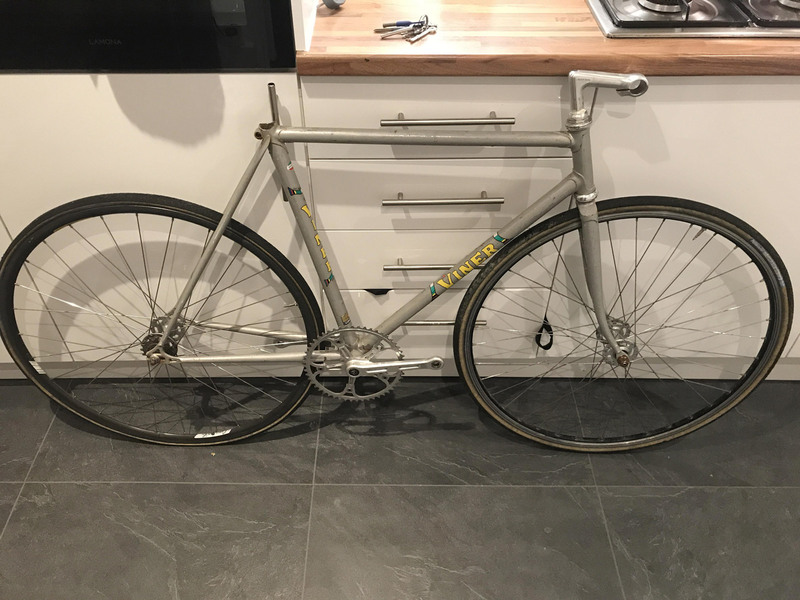 I may actually have enough parts to build an entire bike but not sure I can be bothered to sort, lets see what the weekend brings, would prob do full bike for £250 with some OK parts. BUMP with a pic... also have Bars, and a brand new Concor copy seat. Might see where I end up build wise this weekend - need to replace the headset as its pretty crappy despite being Record. Was speaking to him but he’s not in the UK and I can’t be dealing with postage.